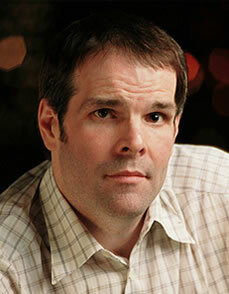 Howard Lederer is nicknamed "The Professor" for good reason - he's one of the most analytical poker players in the game. Throughout his career he's won some of the most prestigious tournaments in poker, and has earned a place among the all-time greats. "The Professor" earned his nickname through his analytical, systematic style of play that gives him a huge advantage over the common "feel" type players of today. Just like many major pros Lederer has a strong background in other strategic games like chess and backgammon, which has helped him immensely at the poker table. His analytical skills, coupled with his family's support and top notch education have allowed him to become a poker giant. Lederer's poker career began in an unusual fashion; growing up he was a skilled chess player and attended Columbia University in New York City. In New York he played chess at many of the famous New York City Chess clubs, and this is where he met some of his future poker buddies, Eric Seidel and Dan Harrington. These players introduced him to the game of poker, and his life would never be the same. Lederer was a quick learner, and picked the game up immediately. Soon after his first real money poker game he decided that poker could provide him with a much brighter future than chess ever could. Lederer often ended up coming home broke after long days and nights of grinding at the tables. After thinking about why he was failing, he realized he needed to focus more on skill than on logging hours at the table. This was the turning point of his career, as he improved his game and started destroying the tables. Howard earned his reputation at the cash tables, and fortified it with major tournament scores in the World Series of Poker, the World Poker Tour, and the Bellagio poker events. Lederer's two WSOP wins were in the $5,000 Limit Omaha Hi/Lo tournament in 2000 for $198,000, and the $5,000 Deuce to Seven Draw event in 2001 for $165,870. His WPT wins include the 2002 Foxwoods Championship, the 2003 Poker Million Cruise Limit Hold'em event, the 2003 Bellagio Five Star World Poker Classic, the $2,500 NL Hold'em Bellagio event in April of 2004, and the $5,000 Pot Limit Omaha event at the Bellagio two weeks after the Hold'em one. Poker and skill games had always been a major theme in the Lederer household. Howard isn't the only professional poker player in the family, as Annie Duke is actually his younger sister. He taught her the game when they were younger, and many poker fans would argue that Annie has surpassed Howard's skill. Annie is currently the most winning female poker player ever. Annie has actually eliminated her brother Howard in three WSOP events. Howard has recently focused on the business side of poker, which has turned out to be a very lucrative market for him. He is one of the featured teachers on Fox Sports Network's Learn From the Pros TV show. Also, Lederer is the host of Fox Sports Network's Poker Superstars Invitational, although he also plays the event from time to time. In addition to that, he offers a Fantasy Poker Camp to players who'd like to learn from their favorite pros.